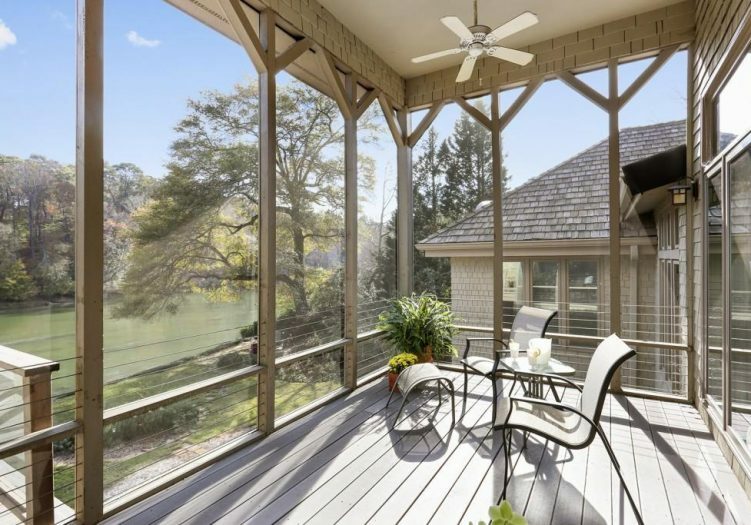 Kick off your shoes, pour yourself some ice tea and let the outdoors in! 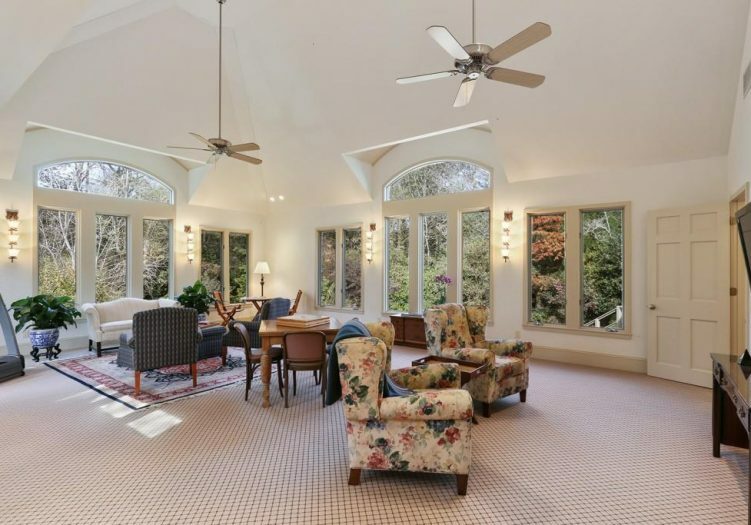 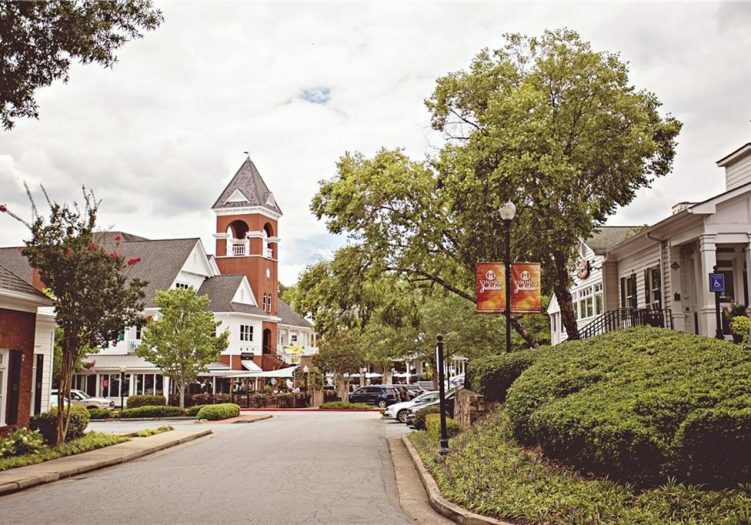 This magnificent home will make you feel like you’re away from it all, despite being only a short distance from downtown, I-75 and Vinings Village. 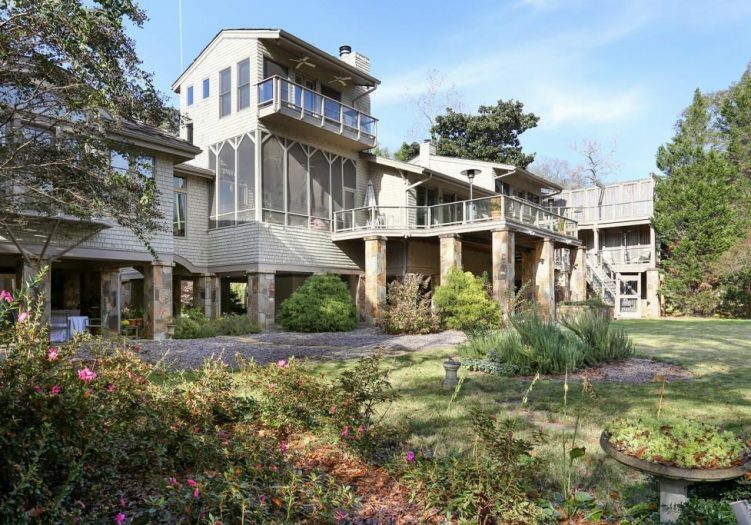 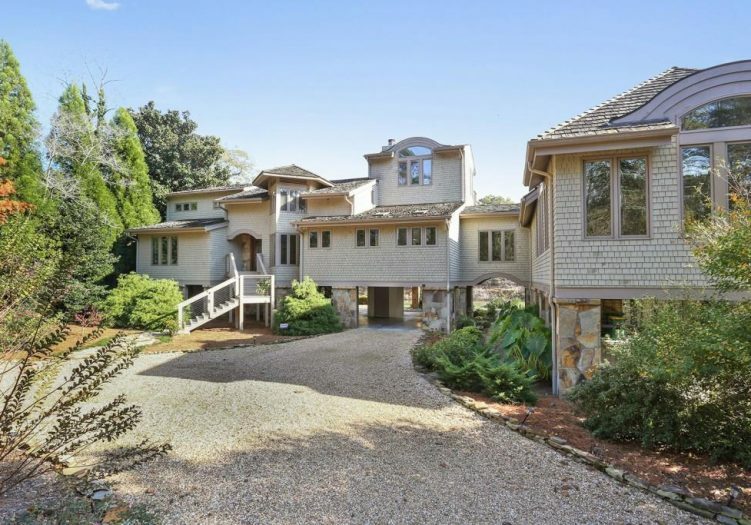 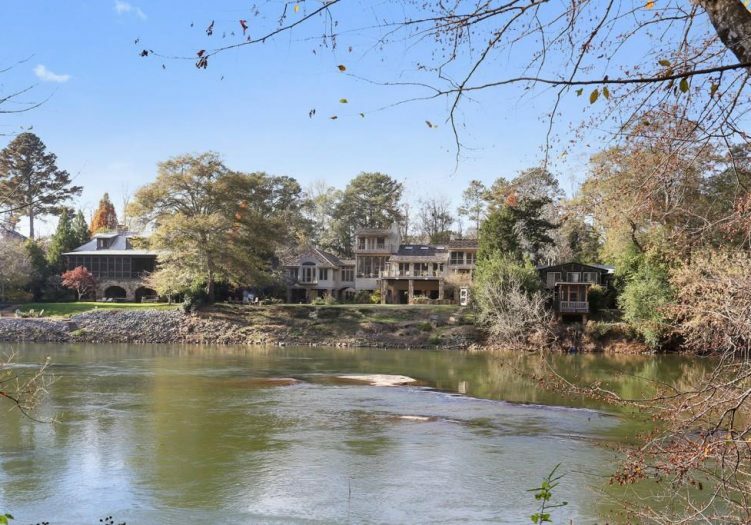 Designed by award-winning Architect Fred Bainbridge of Martin & Bainbridge in 1982, this riverfront estate was the personal home of the renowned architect until 1993. 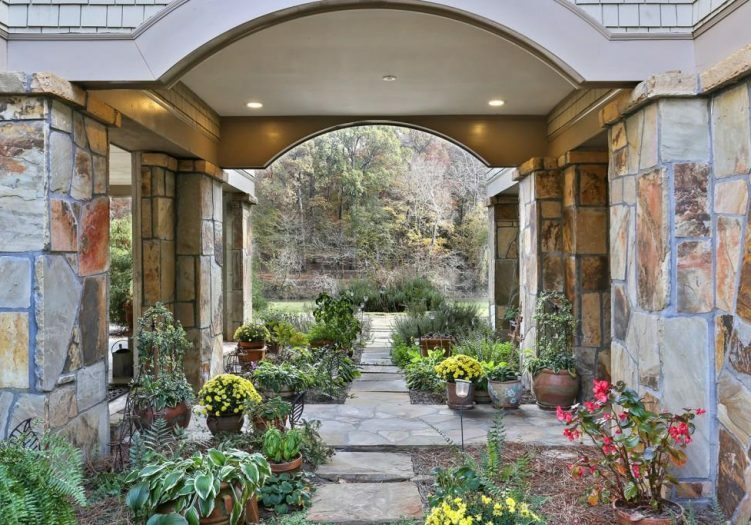 From the moment you turn into the circular driveway, you will be captivated by how this sprawling craftsman so seamlessly blends into the surrounding landscape by relying on natural materials for its beauty. 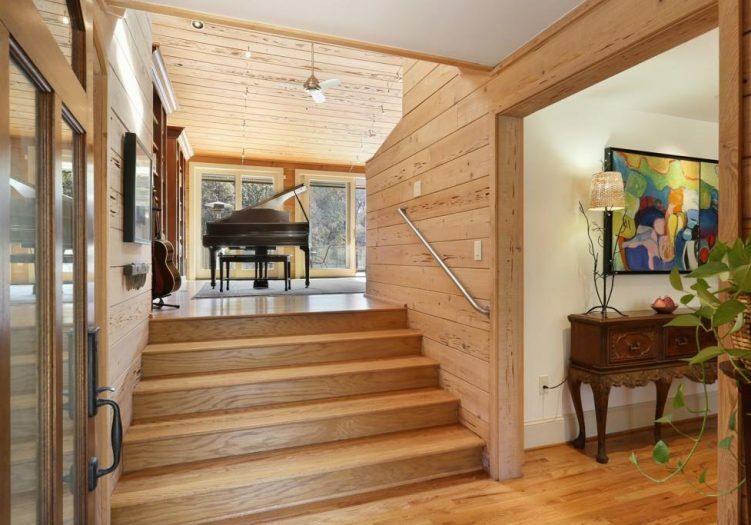 Ascend the stairs to the front porch and you’ll see a beautiful front door with an abstract leaf and water motif etched into the glass. 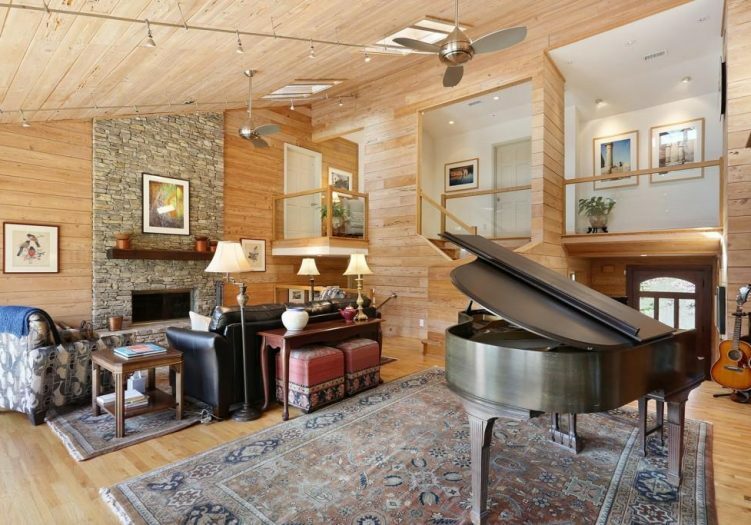 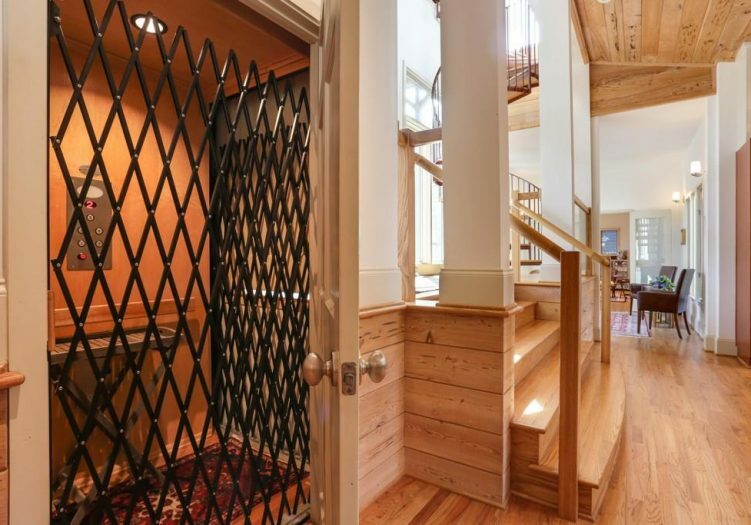 As you walk into the front entry, your eyes will be drawn to the 125+ year-old Pecky Sinker Cypress wood walls and floors which are found throughout the residence. 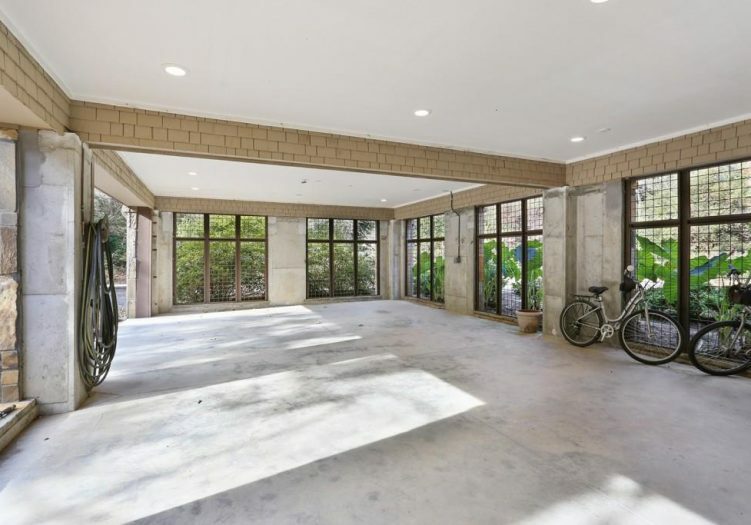 To the left of the front entry are three spacious bedrooms with floor-to-ceiling windows and hall bathroom with a skylight, pedestal sink and shower/bath combo. 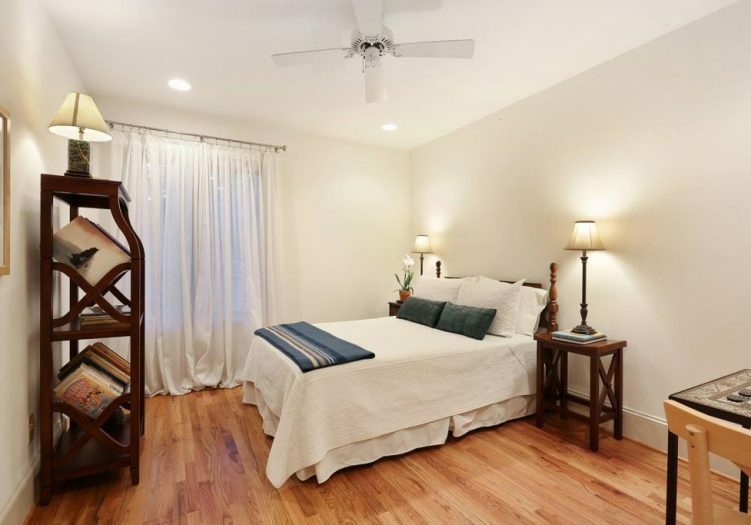 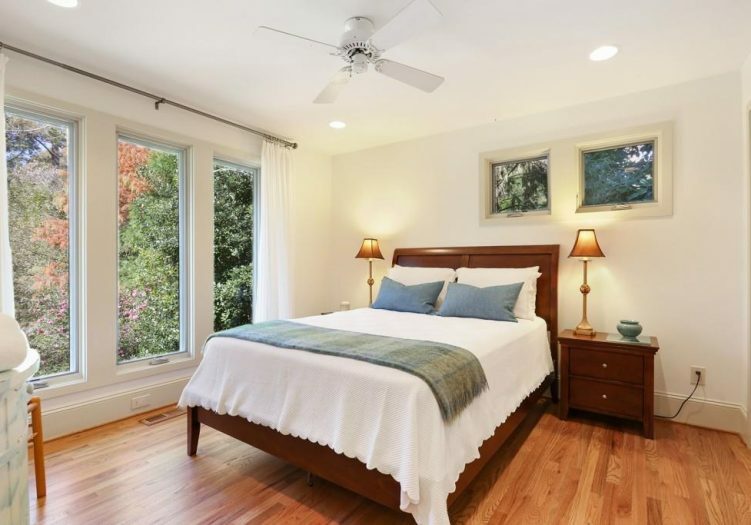 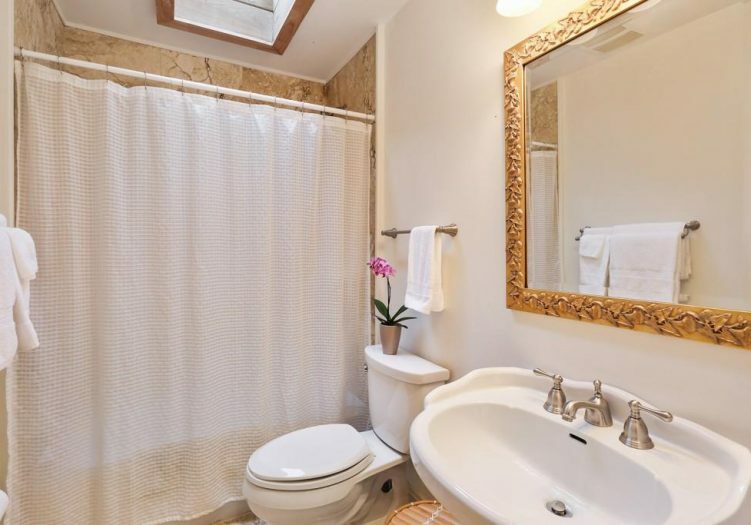 The largest of the three bedrooms is located at the end of the hall and offers a private bath with travertine tile, a bay window seat overlooking the backyard and river and French doors that open to a private deck. 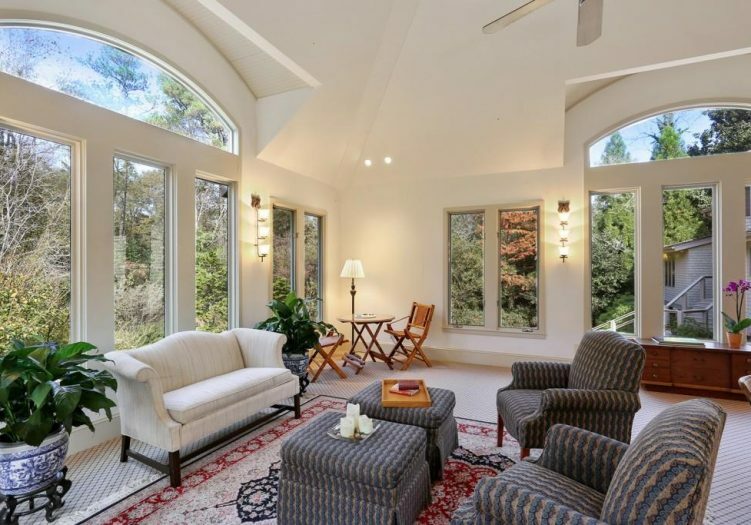 From the front entry, walk up five steps to the living room which offers built-in bookshelves, soaring ceilings made of Pecky Cypress wood, multiple skylights and a stone fireplace. 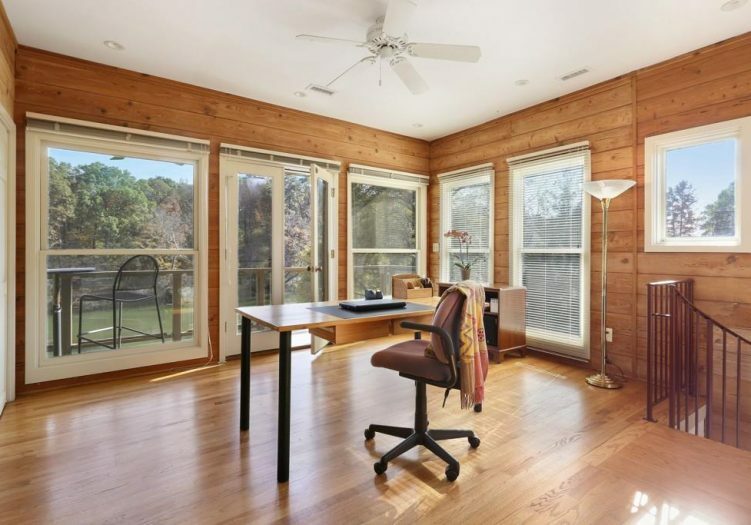 When you slide open the doors that line the back of the room, fresh air fills the space and the differences between the inside and outside fall away. 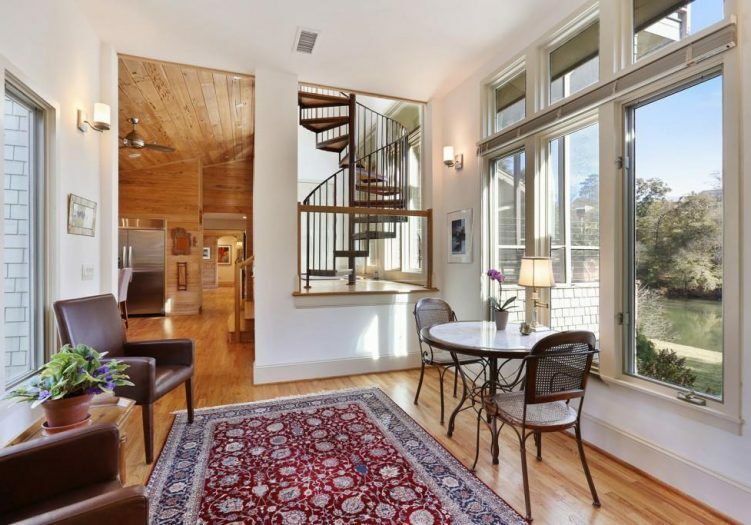 A short staircase from the living room takes you up to the third level Master Suite, featuring his and her bathrooms, his and her walk-in closets, an expansive bedroom with stone fireplace and sitting area and tall glass doors that open to a private deck. 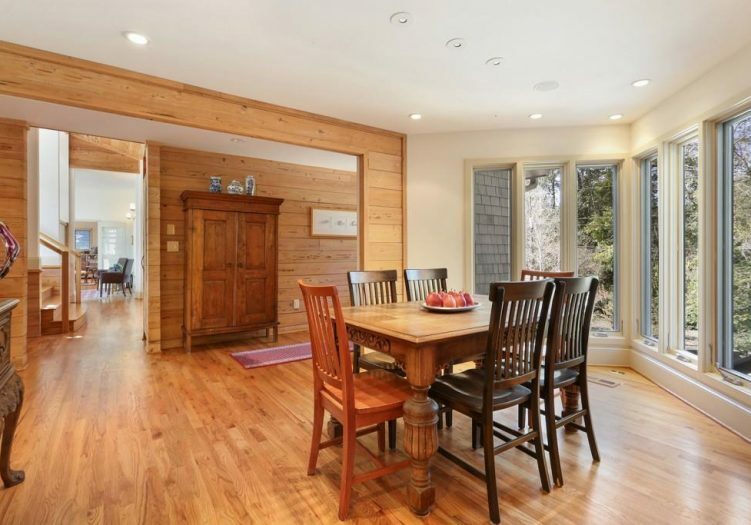 The dining room sits to the right of the front entrance and is surrounded by windows and adjacent to a wet bar. 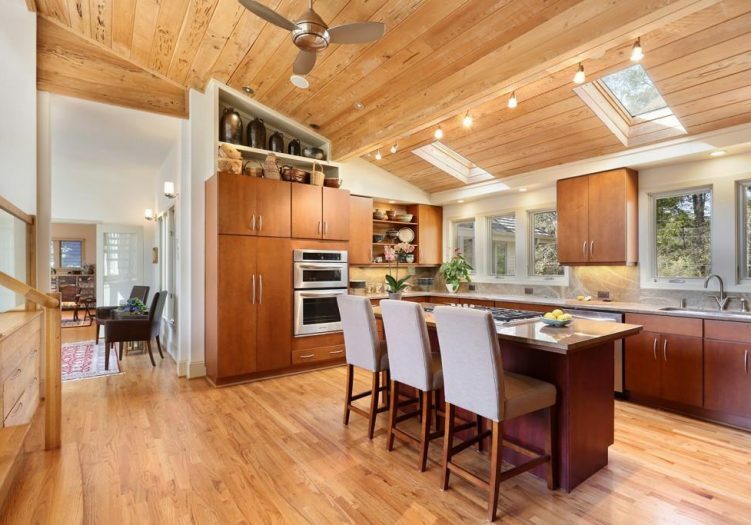 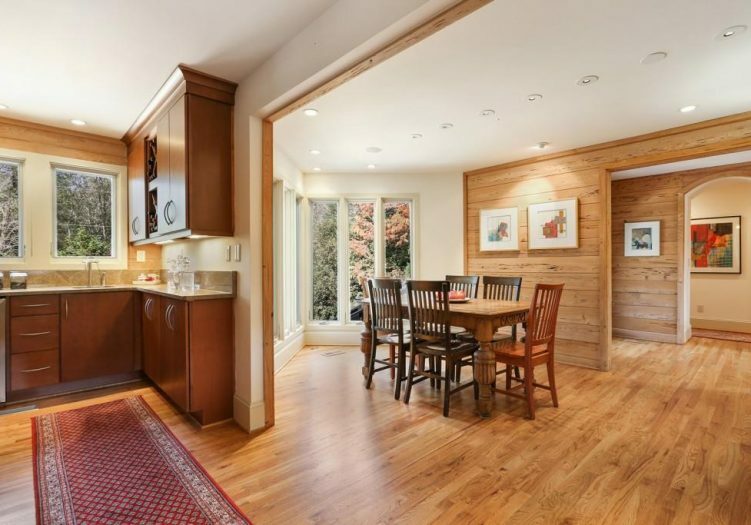 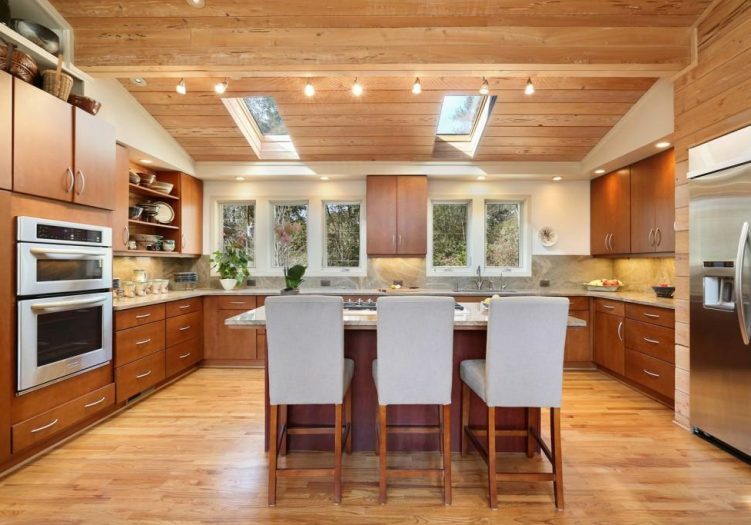 The dining room flows seamlessly into the stunning chef’s kitchen featuring vaulted ceilings, 2 skylights, granite countertops, center island with breakfast bar, stainless steel appliances including a Wolf stove, double ovens and oversized refrigerator. 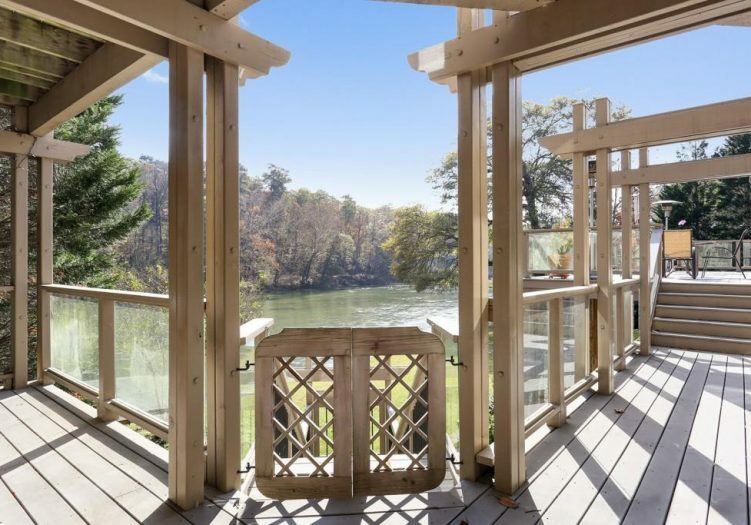 When it’s sunny, sip your coffee on one of the many decks overlooking the river. 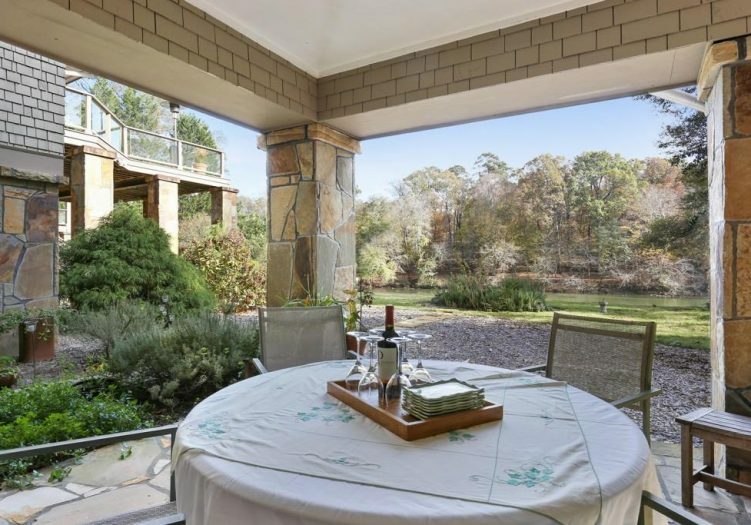 On the rainy days, enjoy your lunch on the screened-in porch. 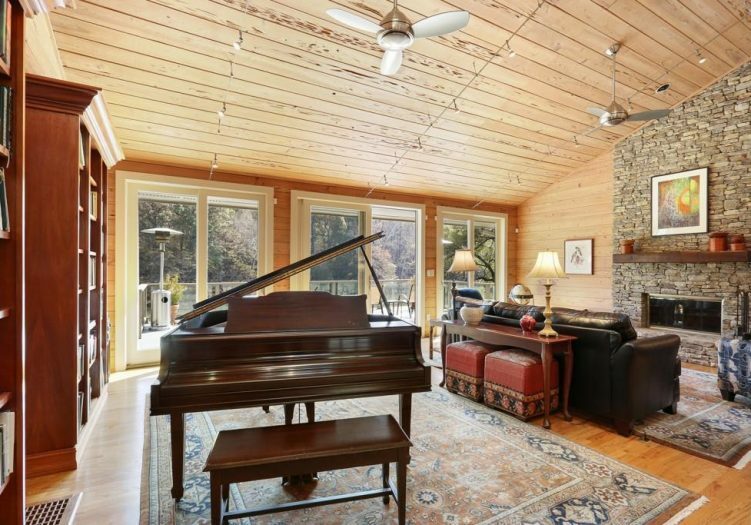 And when it’s cold, snuggle up by the fireplace in the living room and enjoy a cup of hot chocolate. 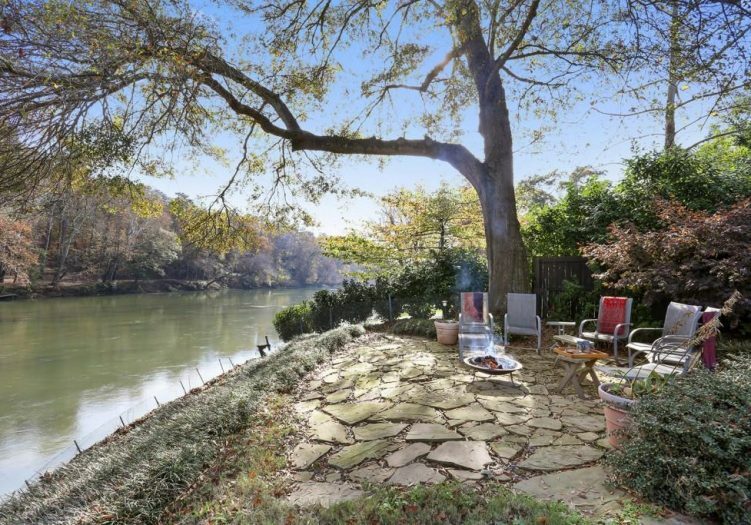 No matter the season, you’ll always be connected to the land and water! 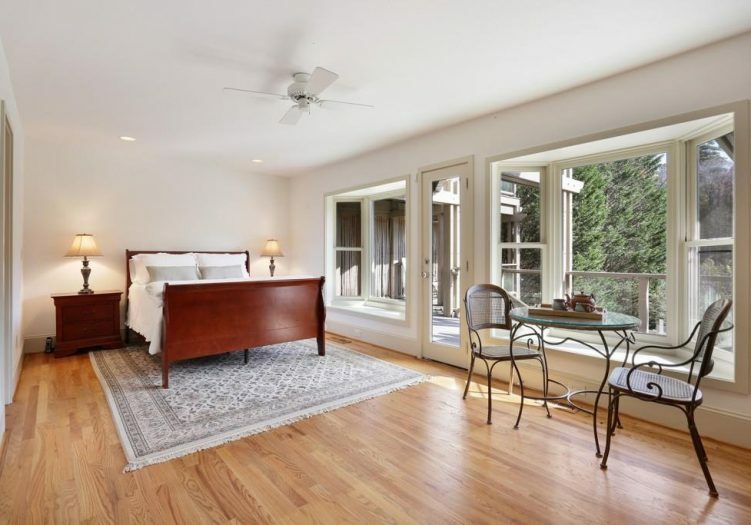 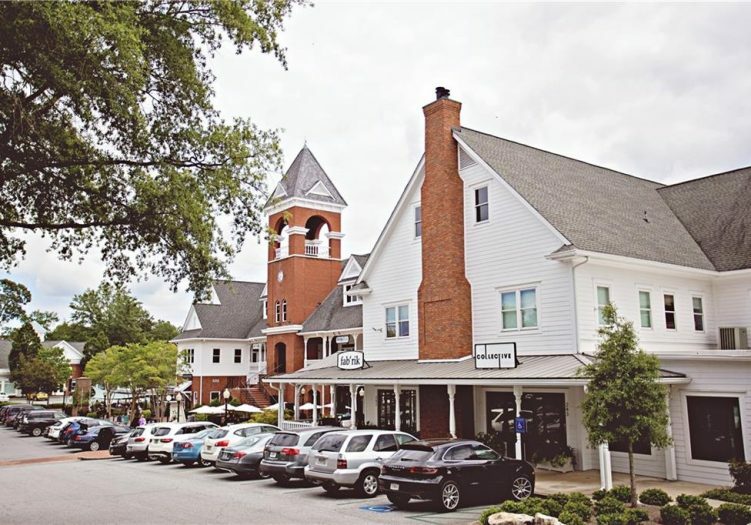 Moon Brothers, Inc., Architects/Craftsmen undertook a massive renovation 2004 with a 1,800+ square foot addition and a bridge that connects the original house to the new wing. 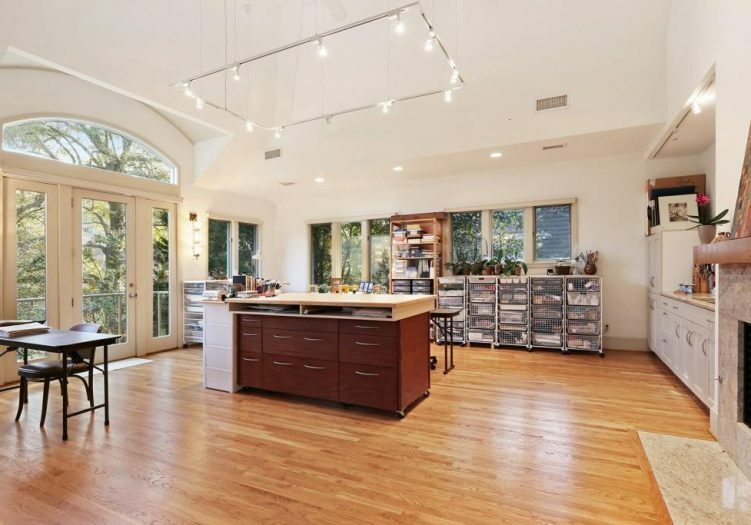 The addition includes a spectacular artist studio with soaring ceilings, built-in shelves, fireplace, private deck and windows on all sides. 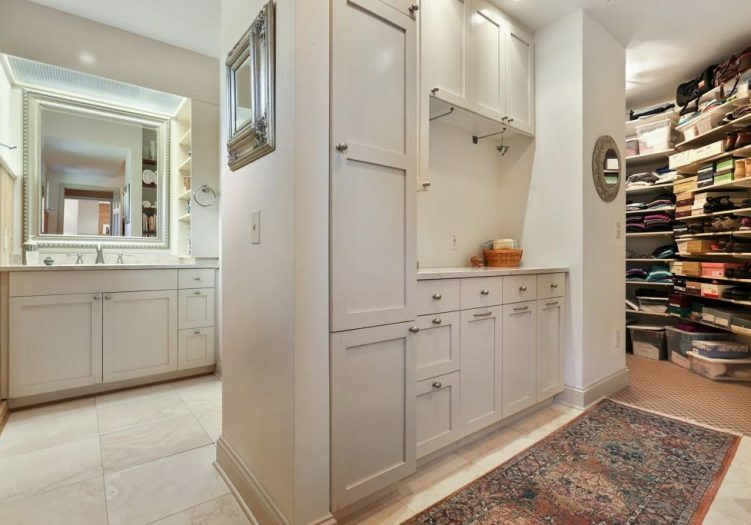 A hallway with a storage closet and full bathroom leads to a den/family room with views of the front and side yard. 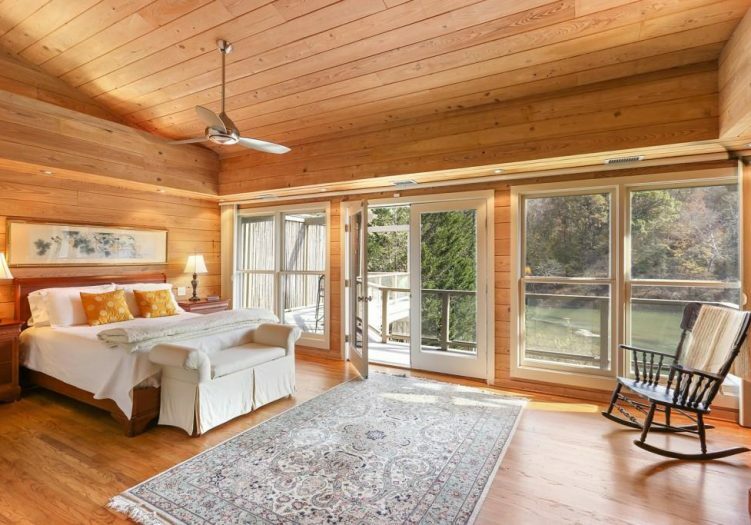 Either one of these rooms would also make a phenomenal second master suite master on the main. 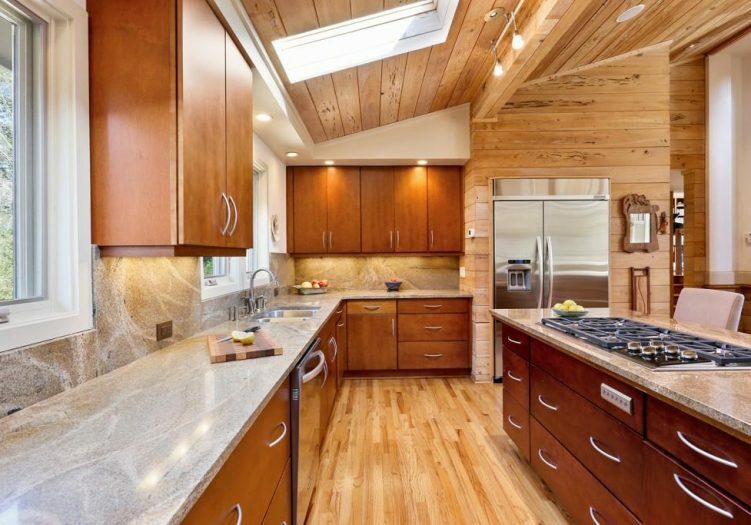 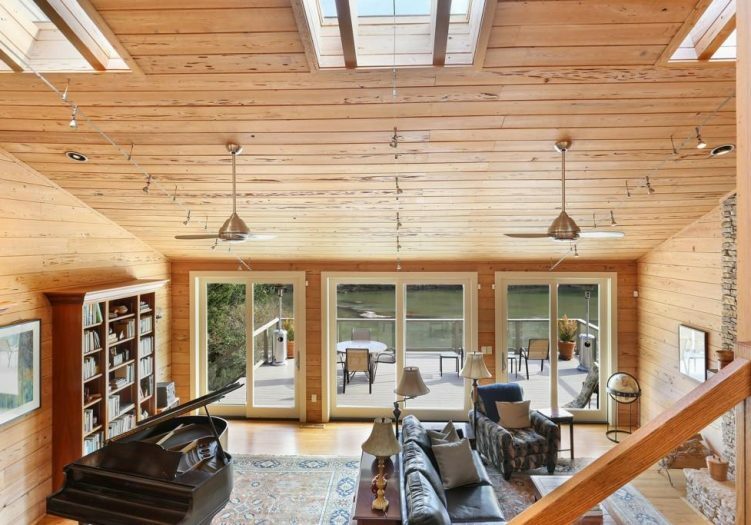 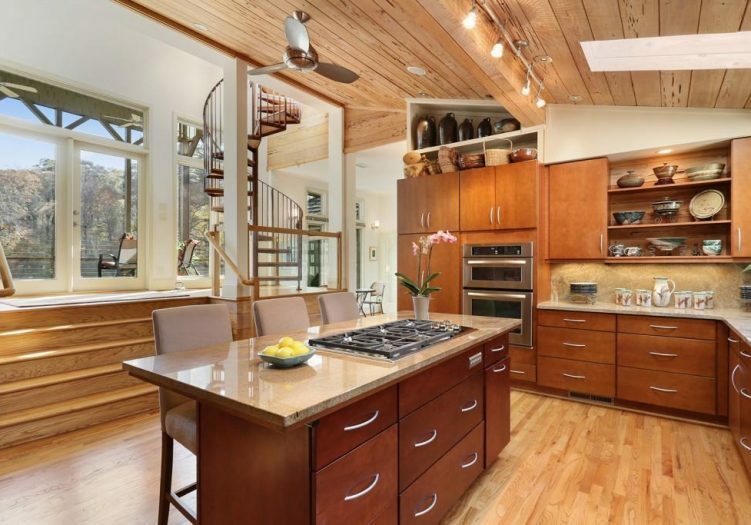 From the kitchen, take a winding staircase up the “crow’s nest,” a cozy loft with windows on three sides and a private deck offering a bird's-eye view of the stunning river below. 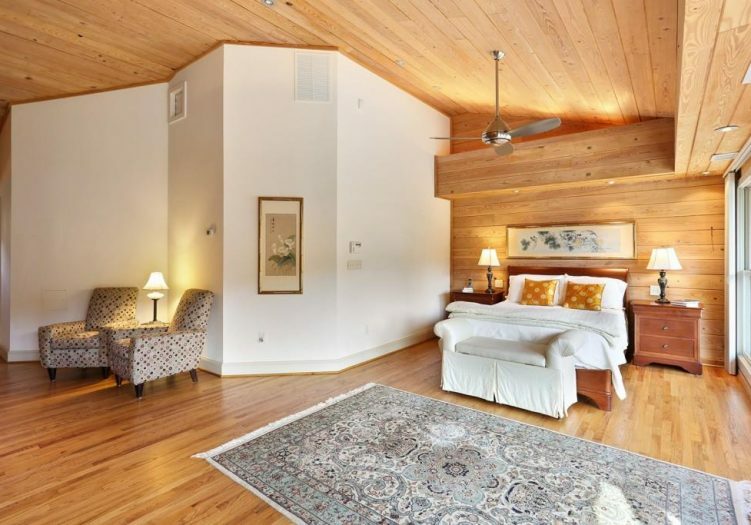 The loft is currently used as an office but would make an excellent bedroom as it features both a closet, half bathroom and drawers discreetly built into the pecky cypress walls. 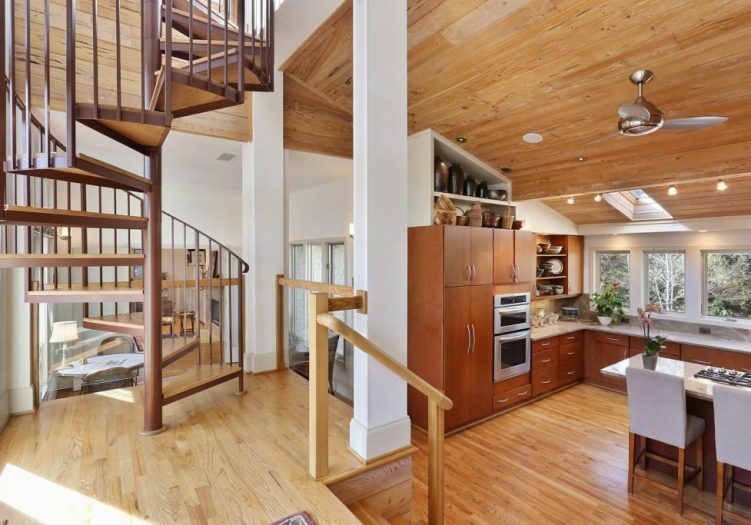 If you would prefer to skip the stairs, the crow’s nest may also be reached by taking the elevator from any of the four levels of the home, including the terrace level which features covered parking for 4+ cars, storage cabinets and closets built into the walls and an enormous covered outdoor dining room. 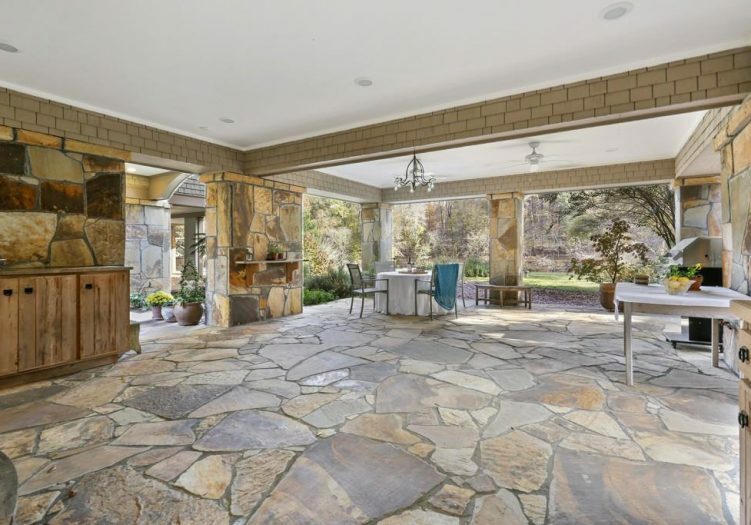 A stone path leads you to the outdoor covered entertainment area which is ideal for outdoor parties and barbeques. 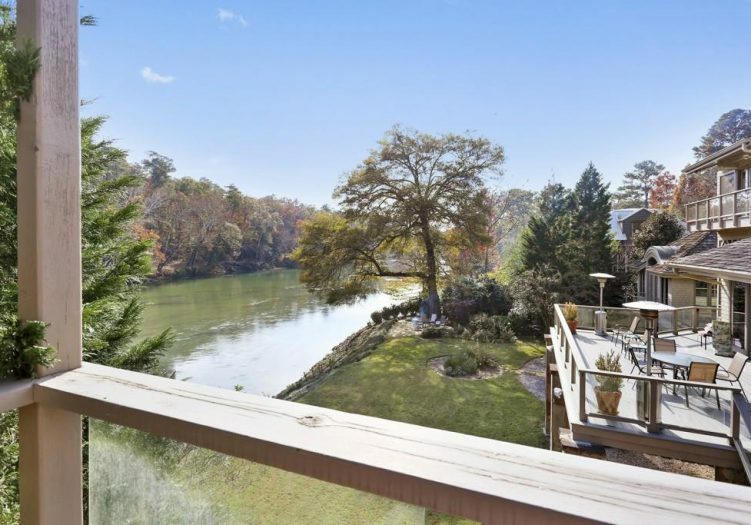 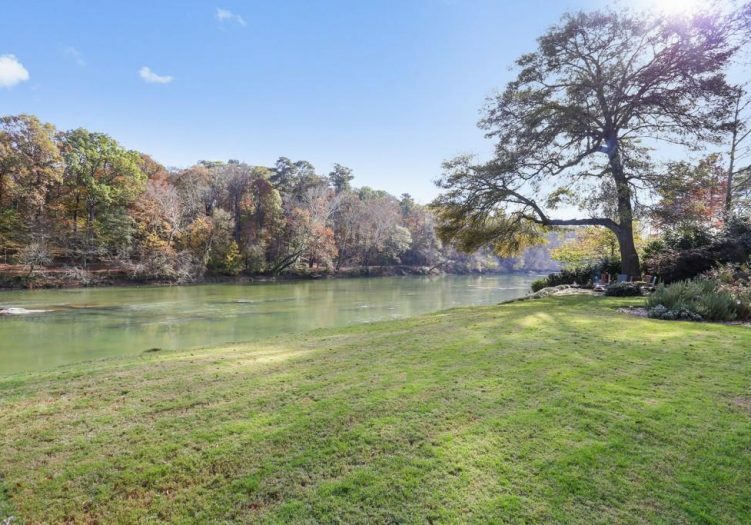 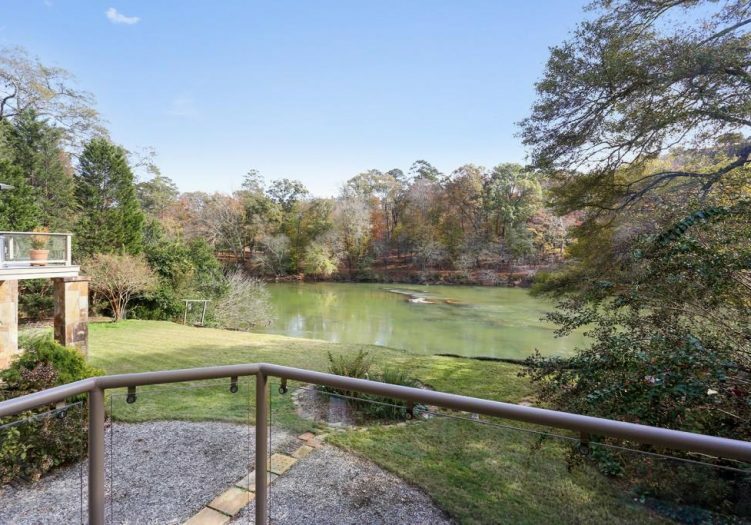 Directly overlook the Chattahoochee River is the firepit, a perfect spot for gathering with friends and family or relaxing with a glass of wine!